We've had a few questions in asking how the Daily Punt Lays Portfolio and Bot are performing, so today I've pulled up the results from my Betfair account for the last 3 months. The Portfolio of systems that we are using has been building in stages and now includes the following systems that have all been created here and the rules can be found on the archives of this site. I started out with the bot on 31st October, so the 1st month of these results is from me manually adding the selections. I started off laying at Betfair SP at £10 liability with a £100 starting bank and then when the bank grew to £300 I increased that to £15. When it hits £400 I'll increase it to £20 and so on. The chart shows the profit before commission off £329 after commission it is £243, so quite a difference at 5% commission. Have you been following the Focus Ratings free trial? At Just £10 per month or £25 per quarter these are well worth having in your armoury. Yesterday the top 3 rated won 17 of the days 33 races! These ratings can be used in all sorts of ways. To support your form study or to help narrow down selections from other systems. 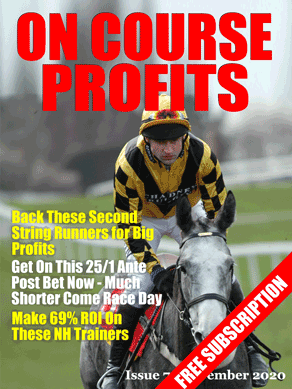 Or for framing perms for Placepots or Jackpot bets or they can be ducted together for a high strike rate approach.